• Nasal polyps may be associated with aspirin sensitivity. • Nasal polyps can aggravate sinus disease. 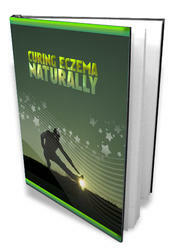 • Topical glucocorticoids are important in long-term treatment. • Polyps can recur after polypectomy. 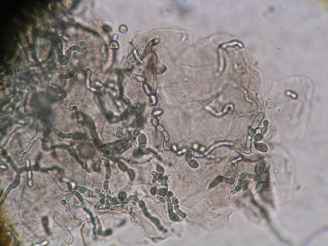 Perennial allergic rhinitis may be associated with nasal polyps, but usually only when it is complicated by sinus infection. In adults, polyps may be associated with sensitivity to aspirin manifested by aggravation of rhinitis, asthma, and even shock. Nasal polyps often develop in the absence of or only coin-cidentally with allergy. Polyps arise from diseased ethmoid and maxillary sinuses and are easily visible in the nasal cavity. Nasal polyps can cause obstruction and aggravate the preexisting sinus disease. The size of nasal polyps may be reduced by brief treatment with systemic glucocorticoids and by daily use of topical glucocorticoids for longer periods. If sinus infection or the underlying allergic factors are not appropriately controlled, polypectomy may be necessary. Unfortunately, polyps tend to recur without sinus surgery.